Thanks to Barry Turnwell for sharing this article from a recent edition of “Messenger Magazine”. 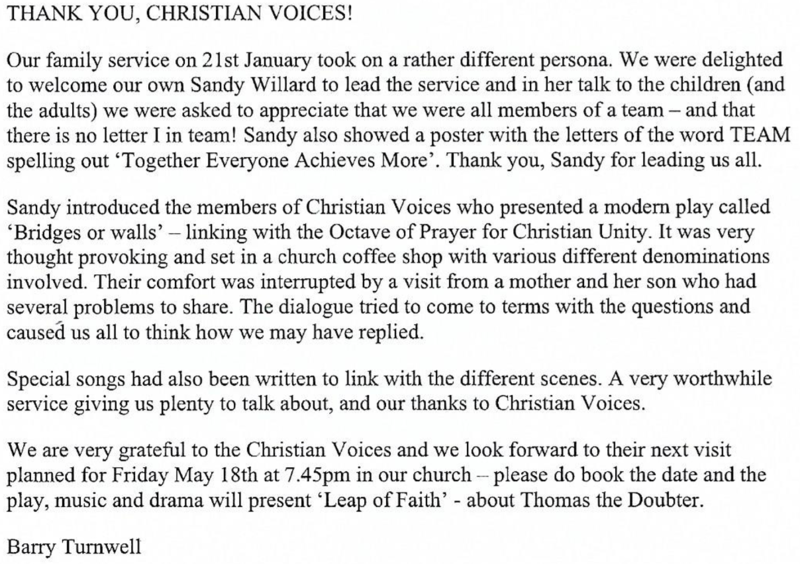 Christian Voices always want to here feedback and it’s certainly wonderful to see comments like “a very worthwhile service giving us plenty to talk about”. Posted by christianvoicesbexhill on 30/01/2018 in Comments, News, Performances and tagged Comments, News, Performances, Plays, Press.